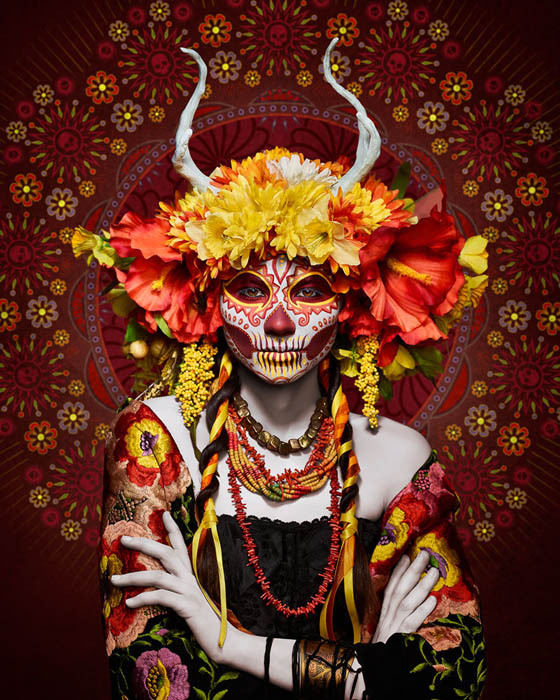 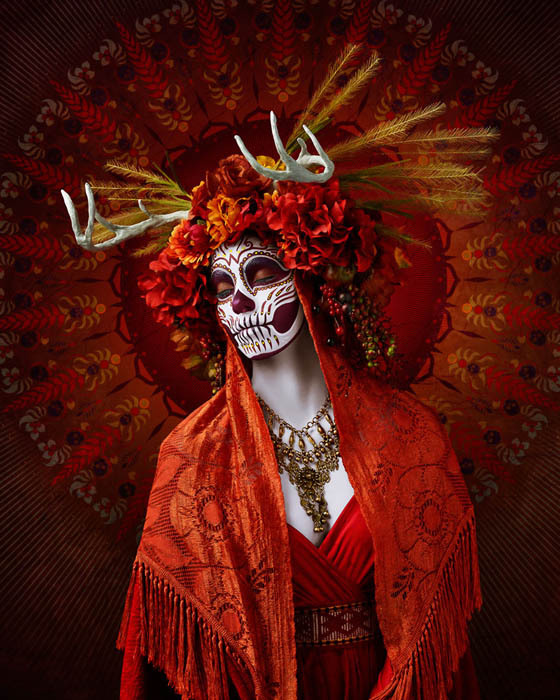 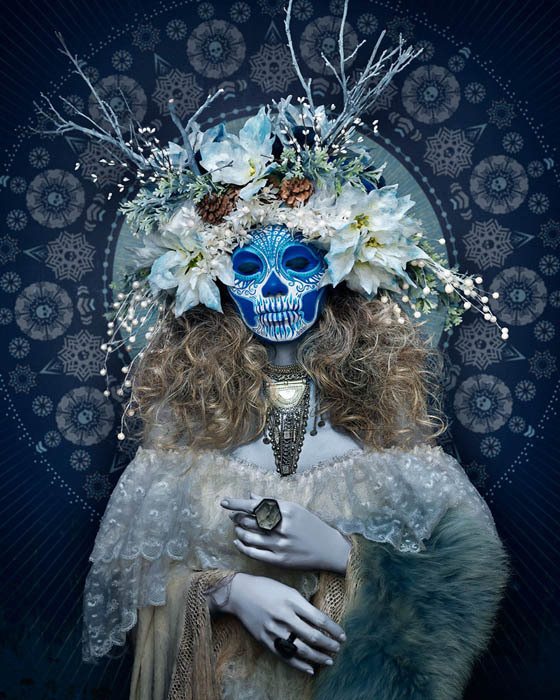 Called “Las Muertas”, brought by California-based photographer Tim Tadder, this haunting photo series is inspired by the Mexican Day of the Dead, the choice of skull-painted women pays subtle homage to the festival’s Aztec roots where Mictecacihuatl, the goddess of the underworld, was worshiped. 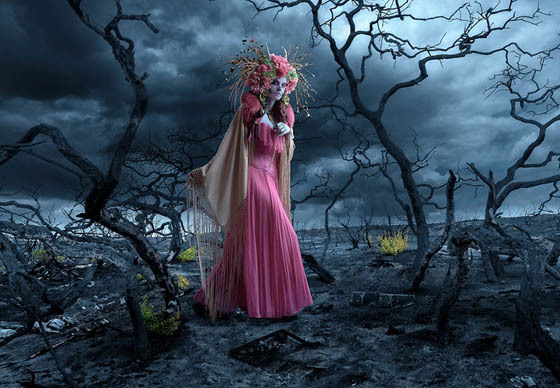 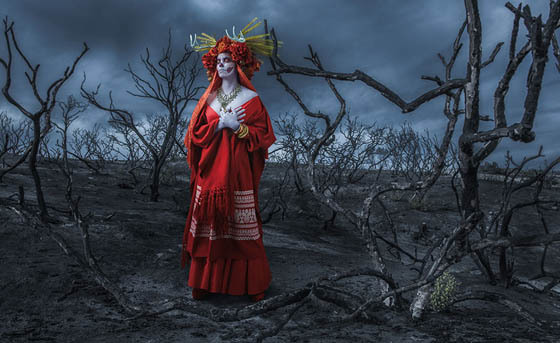 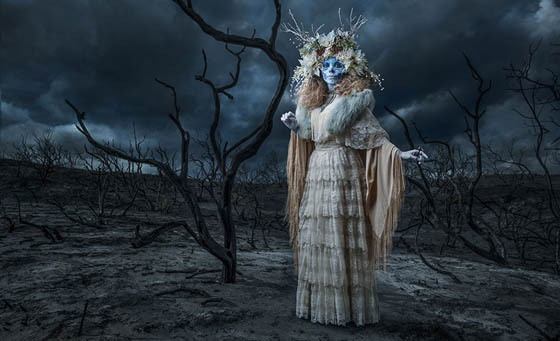 With the help of makeup artist Krisztianna and costume designer Julia Reeser, Tadder created these incredible photos – something deadly and beautiful. 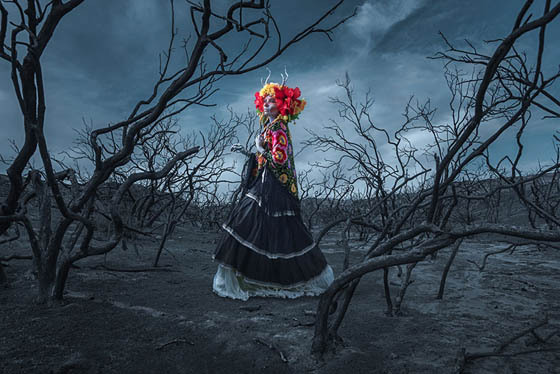 The combination of color, destruction and foreboding storm makes a truly surreal tribute to the traditions of the Dia De Los Muertos holiday. 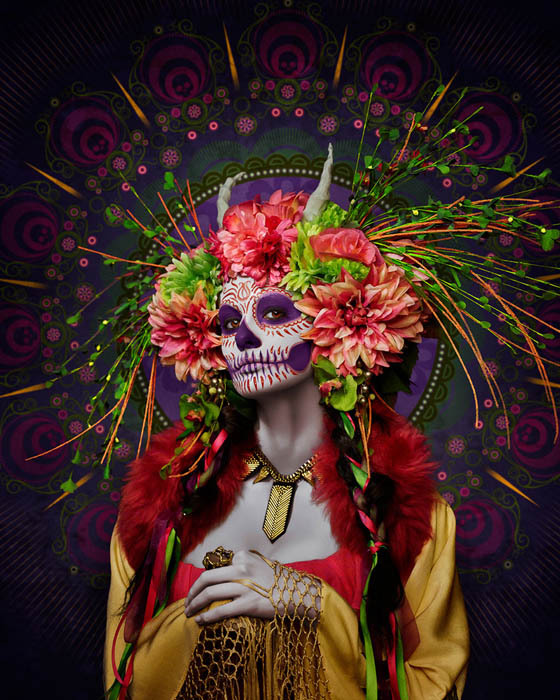 If you like it, don’t forget to check our previous post of “17 Amazing Día de los Muertos Sugar Skull Make-up Art“.